Need something stylish for your home or your business? 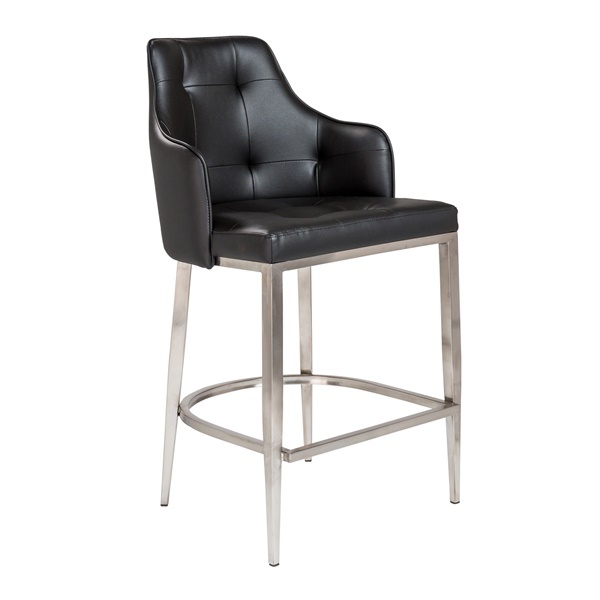 This beautiful Euro Style Aaron-C Counter Stool is a great option for any type of space. The seat is made from soft leatherette over foam to create a beautiful and comfortable place to sit. It has a regal look and graceful lines to create not only a great place to sit but a handsome aesthetic for the professional or home setting. The legs and footrest are made from brushed stainless steel to create a stool with a sturdy base that will last you for many years. It arrives completely assembled and in various colors. The seat height for the Aaron-C Counter Stool is 26 inches.